How to teach safe, challenging, rewarding yoga-fitness classes that bring more people - especially men - to the mat. Broga® Yoga is a unique series of yoga-based fitness programs developed to make yoga more appealing, accessible, and rewarding to anyone, but especially men. This course will teach you how Broga® Yoga combines traditional yoga postures and functional fitness movements for a strong, energetic, and challenging mind-body workout that is less flexibility-intensive than other forms of yoga. In this course you will learn how to focus on the development of strength and cardiovascular fitness, resulting in a class that feels great and delivers a revolutionary workout experience. Learn the complete formula we’ve taught to over 500 instructors through online and live training courses across the globe, and the unique approach to yoga-fitness training that has brought over 12,000 new happy students to the mat. INTERNATIONAL NOTICE: Please note that this online training is only available to residents of North America and Australia. All instructor, and certification processes are conducted in English. Thanks! Robert Sidoti is a certified yoga instructor and personal trainer. He has created Broga with a simple goal: To bring the benefits of yoga to more men. Broga represents the culmination of Robert’s vast expertise as a health and fitness professional and the attainment of his goal to create an optimal, and balanced, fitness program. With his personality, commitment to promoting men’s health, and deep love of yoga, Robert’s Broga class is energetic, fun, challenging, and mildly addictive. He is a passionate, innovative and skilled teacher. Robert has received certifications through the National Academy of Sports Medicine, ’Yoga for Athletic Peak Performance’ with Swami Sitaramananda at the Sivananda Vendanta Centre, Karma Kids NYC, and 200hr RYT with Kira Ryder, founder of Lulubandhas and the Ojai Yoga Crib. 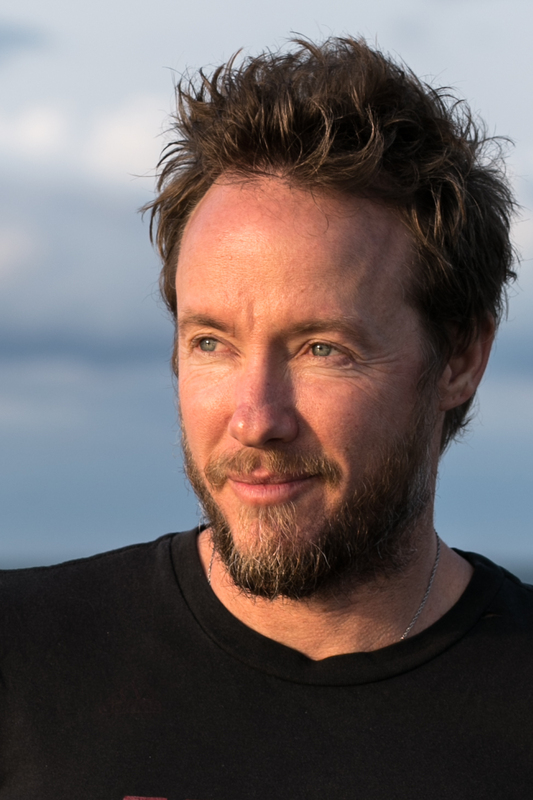 When not running Broga Instructor Training courses, annual retreats at Kripalu Institute and elsewhere, or leading classes at national events such as Yoga Reaches Out, Robert resides on the island of Martha’s Vineyard in Massachusetts. Welcome to Broga® Yoga Instructor Training. We're pleased you found us and excited to meet you. Do you have a passion for health and fitness that you want to share with others? Are you looking for a phenomenal program that instructors love to teach and students love to take? The Broga® Instructor Training course will provide you with a powerful toolkit of fresh insights, inspiring new skills, and an ability to teach proven yoga-fitness classes to new audiences - especially men. Broga® Yoga is a community committed to making a difference, one student at a time. We believe we're only as good as the review we'd get from a brand new student and we work hard, in everything we do, to keep our focus on the newbie. Our system provides world-class experiences that combine the best benefits of yoga with cutting edge techniques for building muscle and shedding pounds. Global participation in yoga is growing rapidly, especially among men. This course will provide you with everything you'll need (except passion and a commitment to excellence, which you need to bring yourself) to offer safe, fun, effective yoga-workouts to the men - and women who love Broga too - in your community. With a rapidly growing roster of passionate instructors, classes across the U.S., partnerships with some of the world's biggest fitness brands, and hundreds of inspiring student testimonials, we know we're onto something. Broga® Yoga gets people "real. fit." 1) Complete the online course and score passing grades on all quizzes. 2) Submit videos for review (per requirements outlined in the online training course) and earn a passing score on each. 3) Receive your Certificate of Completion. NOTE: There are no prerequisites for taking the online course. Many people take it simply for their own benefit, new perspective, etc. If you do wish to become a licensed Broga® Yoga instructor, you can review the licensing process below. 1) Complete the online course with passing score on all quizzes. Termination: Once licensed, your license will remain valid until 45 days from your most recent payment of $9.95. In other words, if you wish to terminate your license, you can do so by simply stopping automatic billing. Students have the convenience of self-paced, online study and the accountability of a peer group sharing deadlines, questions, feedback, and encouragement. Students will receive certification upon receipt of final payment. This option gives students the option of the Independent Study course or the Group Study course. The course starts at the beginning of each month. You will have the dedicated support of the Broga Online Training Director, Chuck Raffoni. We encourage and guide all trainees to complete the course within 30 days, but we're willing to grant extensions on a case-by-case basis. What is a Broga class like? Sorry to hear that you haven't been to one yet, but we're working on that! ...(maybe you'll help bring it to your town)! A Broga class is a powerful, fluid Vinyasa-style yoga class with carefully placed body-weight based strength-building exercises and our big secret: High Intensity Interval Training segments. It's a fun, challenging class that provides a legitimate whole body workout and a mind-body-balancing work"in". It's a unique experience. You'll dig it. Can women take this course? Of course! Women are more than welcome as Broga students and instructors. In fact, about 50% of the successful Broga instructors out there are women. I'm already a 200hr or 500hr Registered Yoga Teacher. Will this course be of any value to me? We can't tell you how many 200hr and 500hr RYTs have completed this course and given it rave reviews. What Broga offers is a new lens through which to see the whole landscape of yoga and fitness. Even if you're already teaching successful classes, you (we all) can always benefit from new ideas and ways of doing things. And if you've found yourself asking questions like... Why aren't more guys already participating in yoga? Why aren't more men attending group fitness classes? What can I do to get more guys in my class? ...This course will give you answers and real tools to do something about it. I've never done anything like this before, is this a good place for me to be? We've trained MANY newbies - people interested in exploring yoga for their own personal health and wellbeing; people interested in moonlighting as yoga or group exercise instructors; people interesting in taking a 200hr yoga course but wanting a way to test the waters... Whatever your scenario, you'll be welcomed, comfortable, and given a very strong foundation from which you can continue to learn and grow. I already have tons of guys in my ("yoga"/"TRX"/etc) class. Can I learn anything new? Absolutely! You'll get a refined understanding of why what you're doing is working and what you can improve on. And you'll also bring great value to the rest of the community by sharing your experiences and perspective. Does this course provide continuing education credits? At the moment, only our in-person training courses are accredited by NASM, ACE, and AFAA for continuing education credits, but we'll be submitting this course for review shortly and expect it to go through. At that point, we may (not 100% sure yet) be able to issue CECs retroactively. What is the difference between a certificate of completion and a license? The "certificate of completion" is proof that you completed, and passed, this course. It's something you can put on your resume, put on your wall, and feel proud of earning. A Broga® Yoga "license" is a co-signed document (between you and Broga) that says that you've completed the additional steps necessary be an official representative of the brand, member of the community, and official "Broga® Yoga" instructor. Does it cost more money to become a "Licensed Instructor"? Are there additional fees? As outlined above, it is $10/mo to remain a Broga® Yoga Instructor. What if I don't want to teach "Broga® Yoga"? That's fine! You don't have to. Of course, we'd love to have you in the community and have you representin' Broga out there in the world, but this course will be valuable to you even if you don't plan on actually teaching "Broga® Yoga". In fact, a lot of people have found what they've learned in Broga training extremely useful with their personal training clients, group fitness classes, and/or other yoga classes.